TCi has partnered with the Downtown Seattle Association in many different capacities over the last decade. 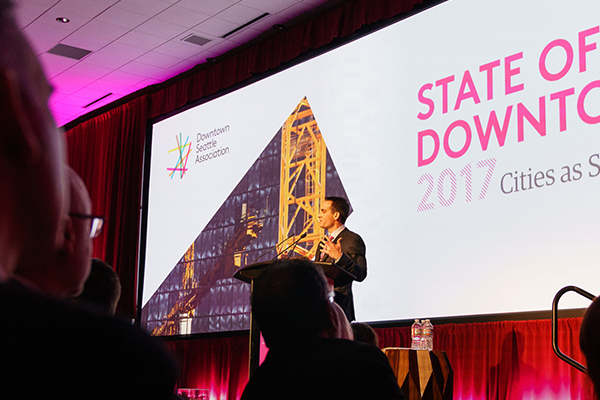 Each year we are very proud to be an important part of their annual State of Downtown Economic Forum. 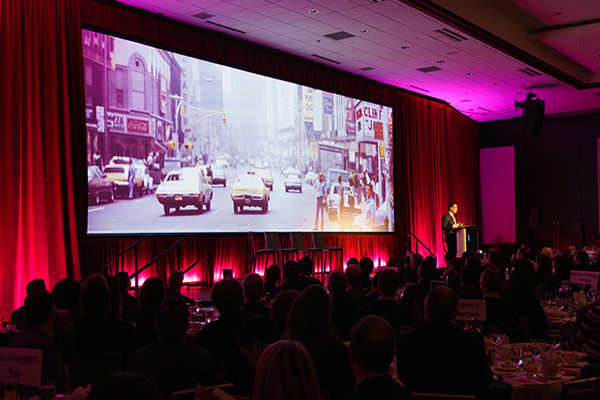 TCi works closely with the DSA Marketing team and CEO John Scholes to carefully craft a visually stunning panoramic motion graphics display to help brand the event and to bring John's import keynote address to life.